MILWAUKEE – (September 25, 2018) – Johnson Controls announces Tyco’s enhanced Software House and Innometriks High Assurance Solution featuring easier installation and configuration, and native enrollment in the C•CURE 9000 security and event management system. 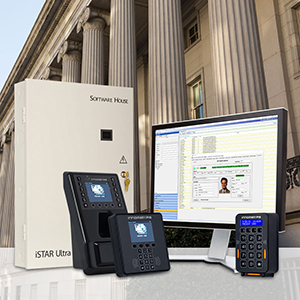 This new solution offers iSTAR Ultra/ iSTAR Ultra SE support for Innometriks and third-party readers without additional hardware. Tyco’s Software House C•CURE 9000 and Innometriks High Assurance Solution is a fully integrated platform providing a robust system for the stringent identity validation needs of the federal government and security conscious commercial businesses. Available with the C•CURE 9000 Version 2.7 Service Pack 2 release, the updated and enhanced offering provides streamlined setup and configuration, making the deployment of High Assurance systems quicker and less complicated. Personnel Enrollment has also been greatly improved with the updated High Assurance Solution. Enrollment is now done through the familiar C•CURE 9000 user interface without the need for an additional application, thus reducing system complexity and enhancing the user experience. The High Assurance Solution supports the enhanced portfolio of Innometriks purpose-built, High Assurance readers, including the new lower cost Cheetah SE. These readers cover the breadth of security levels with multiple authentication options and centralized management of settings and firmware. In addition, support for third-party readers from several manufacturers has been added as well. All of these readers connect directly to Software House iSTAR Ultra and iSTAR Ultra SE ACMs without the need for additional hardware. "We believe that close collaboration with our customers and our industry partners has helped us develop a complete and fully integrated High Assurance Solution that is significantly ahead of the competition – simple to install, simple to manage, simple to deploy with the quick transaction speeds and an overall reduced cost," said John Cassise, senior product manager, Tyco. "And our fully open OSDP implementation means that any manufacturers’ readers can now be used with our solution." One of the most significant improvements to the High Assurance Solution is the deep integration within C-CURE 9000. With many “bolt on” solutions, the use of multiple vendors for main system components makes solving potential issues a nightmare, increasing potential downtime. With all major system components coming from Johnson Controls, the solution can be tested thoroughly as updates are made, to make sure the entire system continues running smoothly.